We are pleased to inform you of the result of the Our Global Email Lottery program held on the 10th November, 2006. 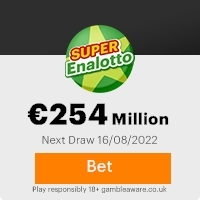 Your e-mail address attached to ticket number 37511465899-6410 with serial number 4872-510 drew lucky numbers 7-14-88-23-3545 which consequently won in the 1st category, you have therefore been approved for the sum of $ 1,000, 000.00 USD (One Million United States Dollars). All participants were selected through a computer ballot system drawn from over 20,000 company and 30,000,000 individual email addresses from across the Globe as part of our International Promotions Program. This program takes place every three years. We hope with part of your winning you will take part in our next USD 50 million international lottery. Note: For easy reference and identification, find below your reference and Batch numbers. Remember to quote these numbers in every one of your correspondence with your claims office, also indicate your country and city. Congratulations once more from our members of staff, and thank you for being part of our promotional program. This e-mail is confidential and privileged. Please do not copy, disclose or distribute information in this e-mail: to do so is strictly prohibited and may be unlawful. If you are under the age of 18 kindly inform our claim office that this message has gone astray before deleting it. Thank you for your co-operation. Copyright Â 2006 microsoft Corp. Previous: CONTACT THE PAYMENT AUTHORITY.Fresh ScamsNext: CALL FOR CONFIRMATION!!! This Email with the Subject "CONTACT OUR CLAIMS OFFICE AT: microclaims002@aim.com" was received in one of Scamdex's honeypot email accounts on Thu, 16 Nov 2006 06:08:04 -0800 and has been classified as a Generic Scam Email. The sender shows as mcsft@mcsft5.orangehome.co.uk, although that address was probably spoofed. We recommend that you do not attempt to contact any persons or organizations referenced in this email, as you may expose yourself to scammers and, at the very least, you will be added to their email address lists for spam purposes.